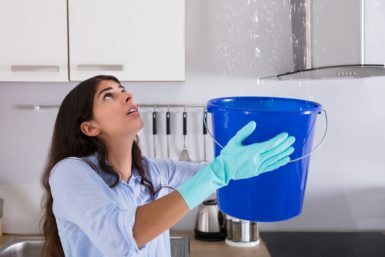 If a hail storm or strong winds have damaged your home’s roof, it’s crucial that you have it taken care of immediately or you may need entire roof replacement if leaks are left unrepaired. If you live in the Glen Carbon, Illinois area, Daech & Bauer Roofing can provide an emergency roof repair that will help you avoid further roof deterioration. We’re a full-service roofing contractor that has completed more than 100,000 projects, so you can count on us to have the expertise needed to handle your repairs. Daech & Bauer stands out from other roofing companies in the area because we go to great lengths to ensure our customers are completely satisfied with our work. We even offer an “apples to apples” price guarantee which states that we will match any local competitor that offers the same work for less. Additionally, we stand behind our work with a five-year standard labor warranty, giving our customers added peace of mind. If you would like to speak with us about the emergency roof repair services we offer to Glen Carbon-area homeowners, contact Daech & Bauer Roofing today. Financing options are available to qualified applicants.